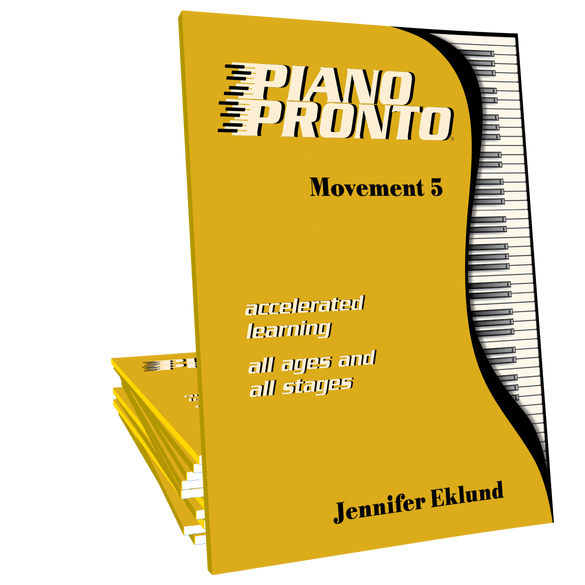 Piano Pronto Movement 5 is a piano lesson book for intermediates of all ages featuring fun and motivating pieces that keep students progressing-Pronto! Movement 5 is a well-put-together collection of a wide variety of musical styles for piano. My students who have played it have all enjoyed it and done very well with it. Brava! I had an adult student begin with me who wanted to play the classics. Before Piano Pronto, I would have told her that it would take many years before she could play the pieces that she wanted to. But I took a leap of faith, and started her working on these wonderful arrangements. She is super happy to be able to play this music, and comes to her lesson excited to show me how wonderful she sounds. Great book. 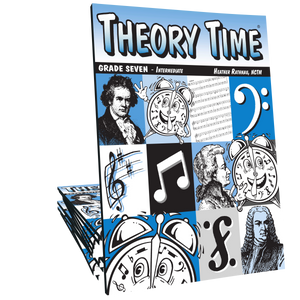 The arrangements of historical literature in this book are so elegantly written that they are a joy to use with later intermediate level students who crave serious literature but who aren't yet ready to tackle the "real thing." 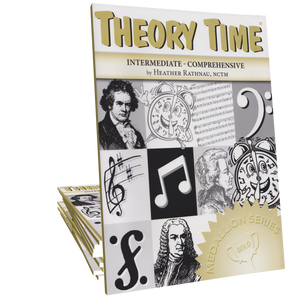 The second movement of the Vivaldi Violin Concerto in A Minor is one of my personal favorites in this collection. Highly recommend! 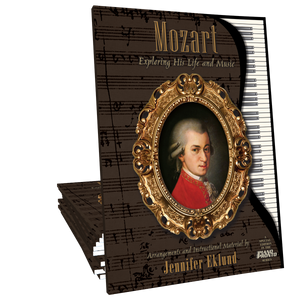 I purchased Movement 5 of Piano Pronto Lesson Books to give to a student who has enjoyed Jennifer’s solo digital music. She loves working on “Victory Theme” (Beethoven’s 5th) and is motivated to go and practice on her own by the wonderful arrangements of classical, ragtime, folk songs, waltzes, and other pieces! 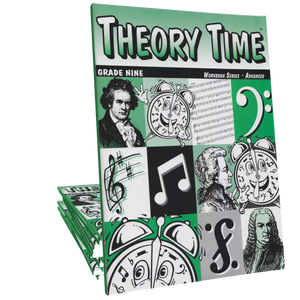 The Pronto Prep pages are especially sound preparation for each piece and makes the transition into the music much easier! Students will be challenged to excel in their studies as they thoroughly enjoy the music in Movement 5! Bravo! These are excellent arrangements. 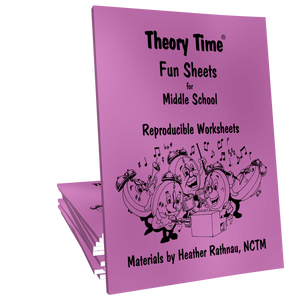 I plan on using these songs for sight reading with my advanced students. 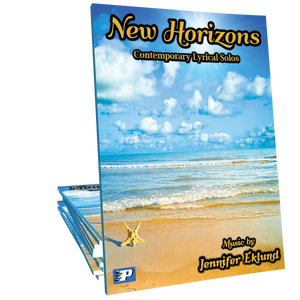 The songs are delightful and will be a great addition to learning harder Sonatinas and Studies. So often, advanced pieces can take months to perfect, but the PP songs will keep the motivation up!